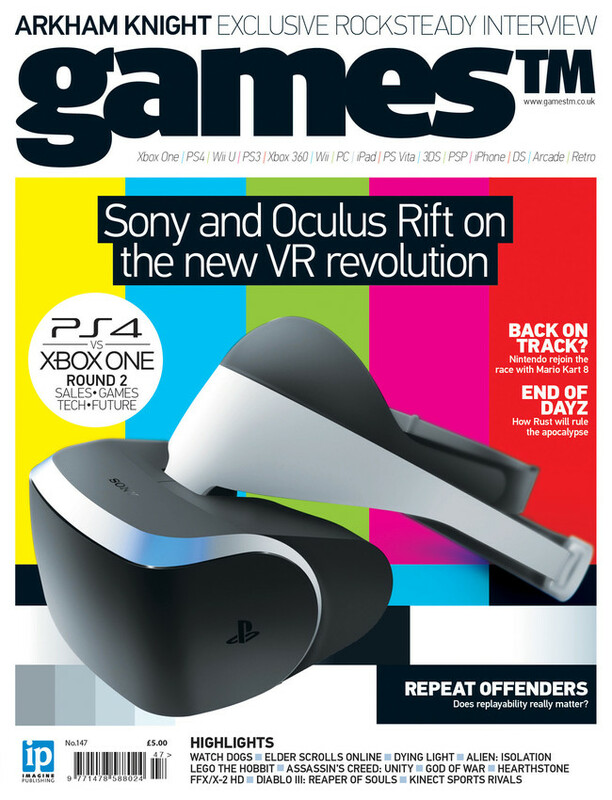 A new issue of GamesTM appeared last week, the final one in which I’m credited as editor. In spite of the hassles that came with waiting for various post-GDC interviews to come through, I’m rather proud of how the magazine turned out, especially the cover feature. I’m less pleased about the cover itself. The main coverline was originally “The VR Revolution Will Resume Shortly”, hence the test card, but that line was deemed “too clever” and a last-minute change was insisted upon by the direktors. Mission accomplished: it is now deeply unclever. Oh well.